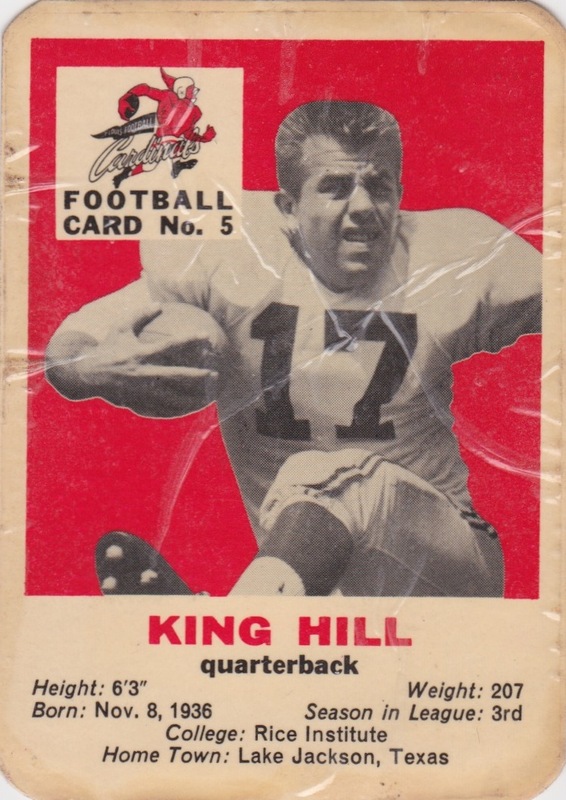 In 1960, Chicago's Cardinals--football's oldest professional franchise, founded in 1898--packed up shop and moved south to St. Louis, leaving the Windy City to Da Bears. 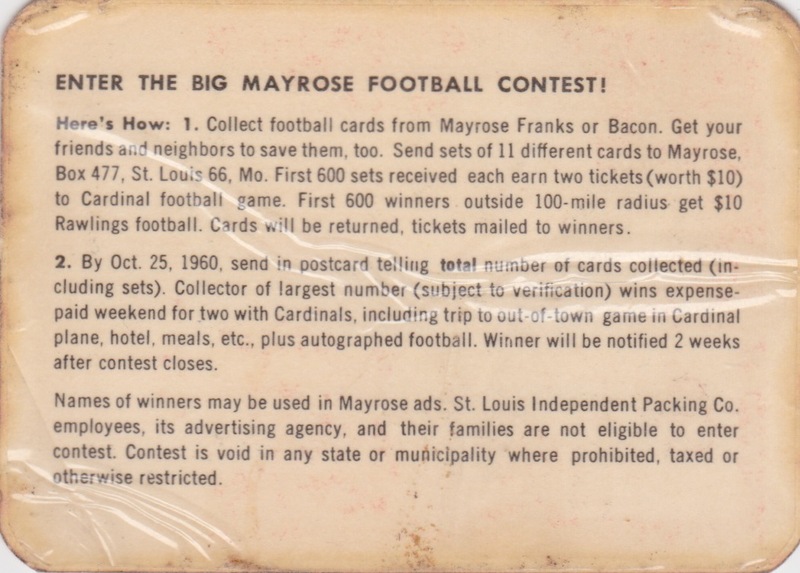 The growing post-WWII popularity of suburban living and expanding sports leagues spurred adventurous issues like today's Mayrose Meats team set. Any new team wants to get their product onto the lips of potential fans, so why not cross-promote yourself with hot dogs and bacon? Thanks to OldBaseball.com trading friend Steve for Mr. Hill's type card, one of these rare sets that came plastic-wrapped to protect itself from food stains. 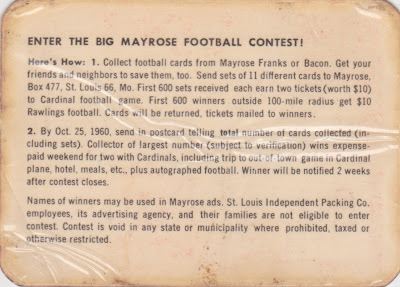 Mayrose wasn't alone, though--the blog's already covered three similar meat-packed baseball sets. The NFL lagged far behind baseball in 1960s attendance and it'd be 20+ years until the two sports stood shoulder-to-shoulder in fan support. Many argue football holds the 21st-century popularity throne; I credit bacon. Value: Based on completed eBay auctions, low-grade singles cost $5 or less. Its checklist lacks stars, so collectors should be able to build a set affordably. Fakes / reprints: It'd be hard to fake a plastic-coated card like this one, let alone make a profit at it. You'd do better just selling the bacon.